Alisson Becker's ability to shake off errors has helped the Liverpool goalkeeper enjoy an 'unbelievable' debut season so far, according to James Milner. 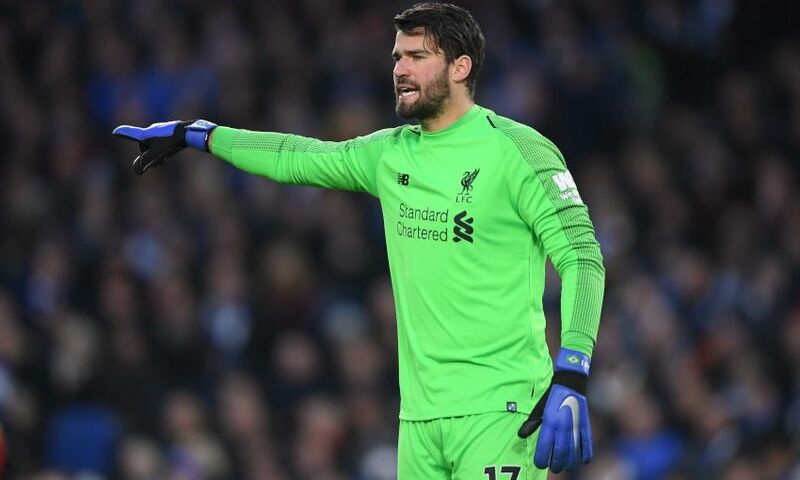 The Brazil international claimed his 13th clean sheet of the Premier League campaign last Saturday as the Reds consolidated top spot with a 1-0 defeat of Brighton and Hove Albion. Alisson’s opening months on Merseyside have been notable for his assurance and confidence, both in possession and when called on to deny opponents as the last line of defence. But Milner has been especially impressed by the No.13’s temperament on the rare occasions when he has made a mistake so far – an attribute the vice-captain considers vital. Asked about the standout performers of Liverpool’s season, Milner said in the new edition of the official Liverpool FC magazine: “It’s hard to pick out one player because everyone in the squad has done so well, not just the 11 who are starting. “We have made a lot of changes during games and a number of players have come in and done really well. “I think maybe one you could select is Alisson. Coming to a new league is never easy. It’s a new lifestyle and you are also getting used to the weather and things like that, but he’s been unbelievable: from how he is around the place, to how good he is on the pitch with his feet and with the saves he makes. “Every single player makes mistakes and sometimes as a ‘keeper you maybe feel a bit different because mistakes often result in a goal, but if he makes a mistake it doesn’t faze him in the slightest and he remains confident and continues playing as if nothing has happened. That’s so important.